The problems faced by food intolerance sufferers when shopping have long been recognised in the UK. It was really in the 1960s that some dietitians started to compile lists of foods free from various ingredients for their patients. In 1976, this was partially systemised when certain dietetic departments in the UK undertook responsibility for compiling specific food lists, such as lactose-free, wheat-free, etc., and these lists were made available to the British Dietetic Association office. Realising the value of this information, in 1984 the BDA started to centralise the collection and dissemination of free-from information for use by its members. The Food and Drink Federation (FDF) took up the recommendation and set up a working party with representatives from the Leatherhead Food RA, the British Dietetic Association, the British Nutrition Foundation, the Royal College of Physicians and the Institute of Food Research, Norwich. In 1995, this working party agreed that it would be feasible to set up a central databank of branded products 'free from' ingredients acknowledged as being responsible for food intolerance in a clinically significant number of people. It was decided that the databank would be used to produce lists of branded food, free from one or more of these ingredients. 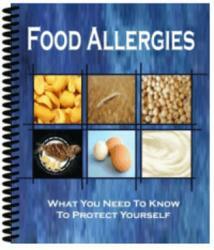 The lists were to be used to assist in the diagnosis and management of food intolerance. The databank was developed at the Leatherhead Food RA and the scope of the databank was decided by the BDA and RCP. Concerns over self-diagnosis and the use of unsupervised diets, particularly for children, meant that the lists generated from the databank were designed to be used in association with appropriate dietary advice. The databank was finally launched in 1987 and the 'free-from lists' generated were made available to State Registered Dietitians.